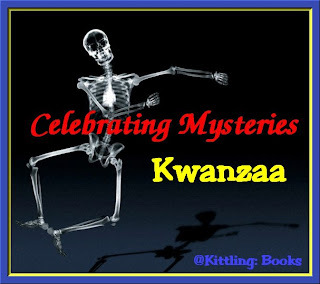 There is a week-long holiday at the end of December that celebrates African heritage and culture, and I decided to use that to spotlight crime fiction authors who have African-American characters. As is normal for this weekly feature, I'm finding myself adding books to my wishlist. Ah well. I never did want to run out of books to read anyway! Join me as I pay some well-deserved attention to this week's three authors! 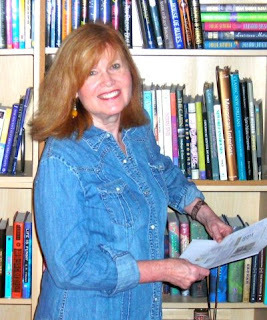 Frankie Y. Bailey grew up in Virginia, and her career as a writer didn't begin until after she'd attended Virginia Tech. While serving in the Army as a food inspector, Frankie wrote a couple of books that took up permanent residence in a desk drawer, but once she joined a writing group, she began to work seriously towards getting published. 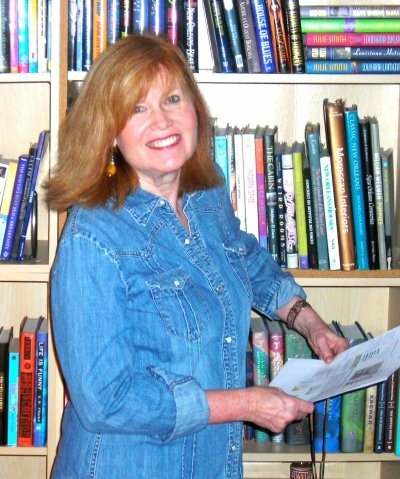 Bailey has written four books in a mystery series set in Kentucky and Virginia featuring Professor Lizzie Stuart, a thirty-something African-American crime historian. 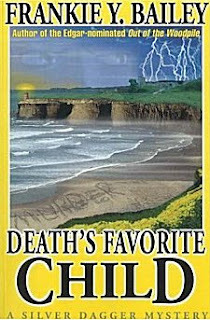 The books in the series are: Death's Favorite Child (2000), A Dead Man's Honor (2001), Old Murders (2003) and You Should Have Died on Monday (2007). 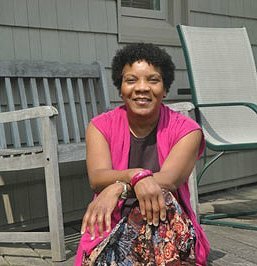 African-American, 38, a crime historian, Lizzie Stuart has spent most of her life in Drucilla, Kentucky. When her grandmother dies, Lizzie decides it is time for a vacation. She joins her friend Tess for a week in Cornwall, England, in the resort town of St. Regis. Lizzie finds her vacation anything but restful when she becomes an eyewitness to a murder and the probable next victim. Julie Smith lives in New Orleans, Louisiana, and is a former reporter for the New Orleans Times-Picayune and the San Francisco Chronicle. She is a licensed private investigator and has written over 20 mysteries. The mysteries I'd like to focus on feature a black poet and computer expert living in New Orleans. Named Talba Wallis, she has an interesting alias: the Baroness de Pontalba. There are four books in this series: Louisiana Hotshot (2001), Louisiana Bigshot (2002), Louisiana Lament (2004), and P.I. on a Hot Tin Roof (2005). Following the success of 82 Desire (1998), which introduced Talba Wallis (aka Baroness de Pontalba), the black poet/computer expert and would-be investigator returns to undertake another harrowing adventure in New Orleans. Talba is a seething mass of contradictions assured and vulnerable, flip and sentimental, cocky and fearful. Answering an unlikely ad with her customary bravado lands her a job as assistant to aging PI Eddie Valentino. The young black female and 65-year-old Italian male have striking similarities that offset their obvious differences. Both are stubborn and strongly attached to, if somewhat alienated from, their families. Throw in a vulnerable young girl, Cassandra, being preyed on by a rap star's hanger-on identified only by the nickname "Toes," and you have a story that spans generations, races and lifestyles. As Talba and Eddie struggle to establish a working relationship and, similarly, struggle to resolve troublesome family relationships, the plight of their newest client worsens. Identifying Toes and stopping him before he eliminates Cassandra (or nosy detectives like themselves) becomes first priority. Smith generates plenty of tension as the savvy veteran and the eager novice combine their talents. 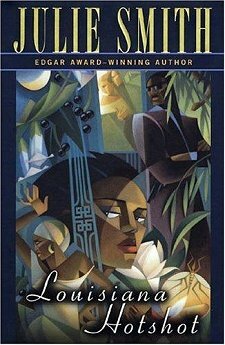 But it is Smith's evocation of her beloved New Orleans and her deft exploration of her characters' intimate relationships that will lure readers to this series. 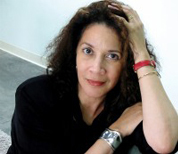 Karen Grigsby Bates is the Los Angeles-based correspondent for NPR News. Before coming to NPR, Bates was a news reporter for People magazine. She was a contributing columnist to the Op Ed pages of the Los Angeles Times for ten years. 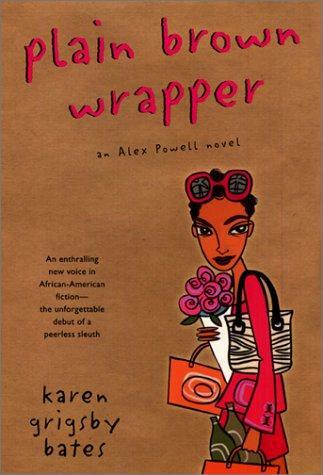 Her work has appeared in Time, The New York Times, the Washington Post, Essence and Vogue. And she's been a guest on several news shows such as ABC's Nightline and the CBS Evening News. She's also written two mysteries featuring Alex (Alexa) Powell, an African-American newspaper columnist in Los Angeles, California. The books are Plain Brown Wrapper (2001) and Chosen People (2006). Who killed Ev and why? The three most likely suspects are Ev's competitors -- publishers of the country's other popular black magazines who all had plenty of good reasons to make sure Ev never received his Journalist of the Year award. With the help of Paul Butler, a fellow journalist and an old friend, Alex tries to untangle the circumstances that led to Ev Carson's death. Their investigative trail will carry them from the West Coast to the East, to D.C., New York, and the social whirl of Martha's Vineyard as the summer season reaches its peak. In the middle of dissed colleagues, dumped girlfriends, disgruntled ex-employees, and the legions of enemies Ev managed to accumulate before he died, Alex Powell realizes that before everything is over Everett Carson might not be the only person who ends up with a toe tag. Once again I find myself adding books to my to-be-read shelves, and I hope I've at least added a title or two to your wishlists. 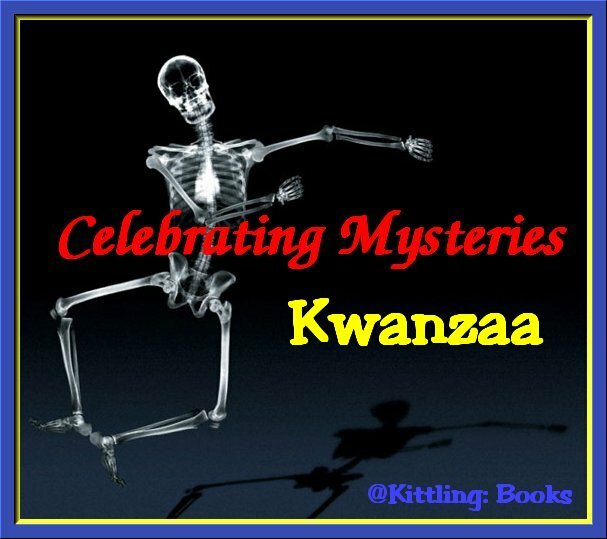 Join me next weekend when I'll continue my month-long celebration of Kwanzaa by featuring three more mystery writers whose series are centered on African-American characters! Yup, you've done it again, Cathy. Not that my list isn't long enough already, but like you I certainly don't want to run out. Ha! Yvette-- No, that doesn't make any difference at all, at all! Cathy, I read Plain Brown Wrapper a few years ago. 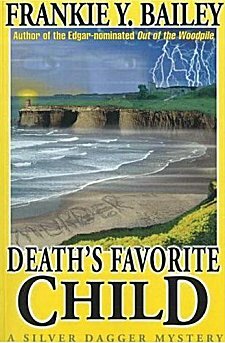 It's quick-moving, has an interesting mystery and is well-written. But the racism is so blatant (& condoned), it left a VERY unpleasant (& memorable!) taste. Debbie-- Thanks for the info. Much appreciated!